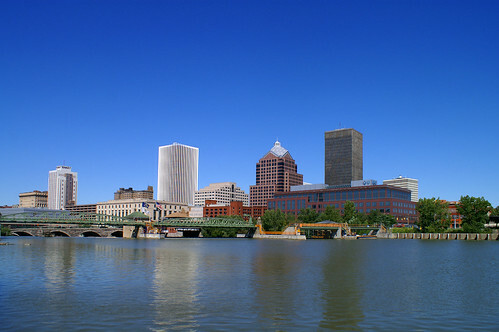 Rochester is the iconic oldest metropolis of the World's optical industry. 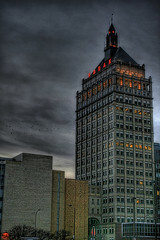 The best known companies are the contacts maker Bausch & Lomb and the 20th century's dominating camera maker Kodak. 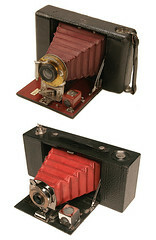 Many of the actual and former optical companies dedicated at least a part of their workforce to the making of cameras, camera lenses, film, camera accessories and other photographic goods. 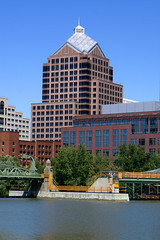 "Rochester-made means quality" was a wide-spread motto from 1890 to 1930. Then Bausch & Lomb started to deliver lenses for the new photography businesses. From 1890 to 1900 several new optical businesses were founded, some by former employees of the early companies. 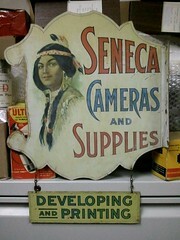 Several of these companies were bought by Eastman Kodak which became the world's unique photography business giant from 1900 until its decline in the 1980s. Bausch & Lomb successfully made a transition from a maker of photo optics to a leading producer of contact lenses. Some notable photographers were residing in Rochester, maybe inspiring the camera constructors of the city, for example Albert R. Stone who's collection of negatives is a renowned resource for Rochester history. The Rochester Museum & Science Center owns the collection. Another important institution is the George Eastman House, the classical style villa, once the representative home of George Eastman, now one of the most renowned museums of photography history. Last not least The Institute of Optics at the University of Rochester must be mentioned. This page was last edited on 4 January 2019, at 11:52.